Winter Is a Great Time To Exercise… Outside! 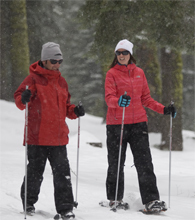 Dodge Ridge is by far the closest snow to Bay Area and Central Valley locations and with no closed roads or mountain passes to traverse (Sonora Pass is far past Dodge Ridge), this is the Easy Drive (click to see how close you are to Dodge Ridge). 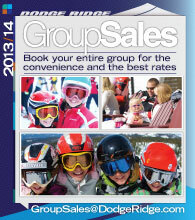 If you’re Skiing + Riding as a group this season, be sure to check out our Group Sales opportunities for the best rates and convenience. 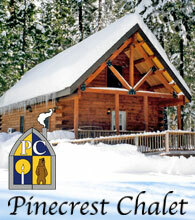 Dodge Ridge in partnership with the US Forest Service offers 8 campgrounds in and around the Pinecrest Area. In the heart of the Pinecrest recreation area, a short walk from Pinecrest Lake, Pinecrest Campground offers sites suitable for a variety of tent / trailer / RV camping. ((Click Here)) to view all campgrounds and information. 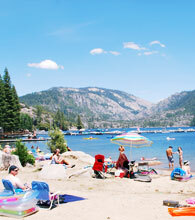 Pinecrest, CA located in the Stanislaus National Forest offers endless summer recreation opportunites for all ages. 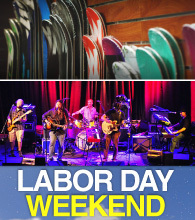 Enjoy camping, fishing, hiking, boating, swimming, biking, outdoor movies and much more! 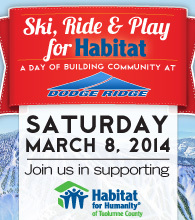 ((Click Here)) for surrounding area info.